To make this essay better known, I am (with the author's permission) presenting a self-contained excerpt from it, where Pink goes into how the traditional rite of baptism that the Church used for well over a thousand years clearly presents, through its exorcisms, the correct understanding of the respective domains of the devil over fallen man and of Christ over the Christian, and how the revisions to the modern rite of baptism not only gloss over this understanding but even run contrary to it. The first and most important change has to do with how the Church now presents the Fall and original sin, and what the Church is doing when through baptism she releases us from the guilt of original sin. [The Council] firmly believes, professes and preaches that never was anyone, conceived by a man and a woman, liberated from the devil’s dominion except by faith in our lord Jesus Christ, the mediator between God and humanity, who was conceived without sin, was born and died. With regard to children, since the danger of death is often present and the only remedy available to them is the sacrament of baptism by which they are snatched away from the dominion of the devil and adopted as children of God, it admonishes that sacred baptism is not to be deferred for forty or eighty days or any other period of time in accordance with the usage of some people, but it should be conferred as soon as it conveniently can; and if there is imminent danger of death, the child should be baptised straightaway without any delay, even by a lay man or a woman in the form of the church, if there is no priest, as is contained more fully in the decree on the Armenians. 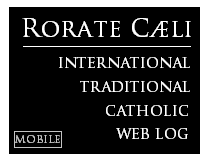 Go forth from him (her), unclean spirit, and give place to the Holy Spirit, the Paraclete. I exorcise thee, unclean spirit, in the name of the Father + and of the Son, + and of the Holy + Spirit, that thou goest out and depart from this servant of God, N. For He commands thee, accursed one, Who walked upon the sea, and stretched out His right hand to Peter about to sink. Therefore, accursed devil, acknowledge thy sentence, and give honour to the living and true God: give honour to Jesus Christ His Son, and to the Holy Spirit; and depart from this servant of God, N. because God and our Lord Jesus Christ have vouchsafed to call him (her) to His holy grace and benediction and to the font of Baptism. And this sign of the holy Cross, which we make upon his (her) forehead, do thou, accursed devil, never dare to violate. I exorcise thee, every unclean spirit, in the name of God the Father + Almighty, in the name of Jesus + Christ, His Son, our Lord and Judge, and in the power of the Holy + Spirit, that thou depart from this creature of God N, which our Lord hath deigned to call unto His holy temple, that it may be made the temple of the living God, and that the Holy Spirit may dwell therein. Since baptism signifies liberation from sin and from its instigator the devil, one or more exorcisms are pronounced over the candidate. Born with a fallen human nature and tainted by original sin, children also have need of the new birth in baptism to be freed from the power of darkness and brought into the realm of the freedom of the children of God, to which all men are called. Now the magisterial teaching is that baptism is not only a sign of our deliverance from the dominion of the devil, but necessary to its effecting. Until the child is actually baptised the child still remains, with fallen humanity, under the devil’s dominion. The traditional exorcisms present this exactly, calling on the devil to depart now, with the child’s baptism. Almighty and ever-living God, you sent your only Son into the world to cast out the power of Satan, spirit of evil, to rescue man from the kingdom of darkness, and bring him into the splendour of your kingdom of light. We pray for this child: set him (her) free from original sin, make him (her) a temple of your glory, and send your Holy Spirit to dwell with him (her). We ask this through Christ our Lord. The difference is obvious. The new prayer is simply a prayer that God release the child from original sin. It is no longer explicitly commanding the devil to depart the child and abandon his dominion of it now. In fact the devil’s departure is not commanded at all. Which is why the new rite’s so-called ‘exorcism’ is not really a genuine formula of exorcism. The destruction of the power of the devil is associated in the prayer not with the devil’s departure from the child only at the moment of its baptism, but rather with Christ’s coming into the world. Any clear statement that even after the coming of Christ until actually baptised the child remains under the dominion of the devil, a devil whose departure has then to be explicitly commanded, has been removed. I exorcise thee, thou most unclean spirit, and every incursion of Satan, and every phantasm: in the name of the Father, and of the Son, and of the Holy Spirit: do thou depart from this oil, so that it may become a spiritual unguent for strengthening the temple of the living God; so that the Holy Spirit may dwell therein, by the name of God the Father almighty, and by the name of his well-beloved Son our Lord Jesus Christ, who will come to judge the living and the dead and the world by fire. These exorcisms have similarly been quite comprehensively removed from the new Roman liturgy. The message is clear. Blessings need only give thanks to God for a world that is good. There is no need of exorcism to remove a persisting diabolic dominion over a world that though by nature good is also fallen. The traditional Roman liturgy with its formulae of exorcism for baptism and for blessings is now seen by many modern theologians as problematic and as having required reform just because, unlike the new, its forms for baptism and blessing really do contain genuine exorcisms of the devil—commands addressed to the devil that he depart from an unbaptised child or from natural elements. 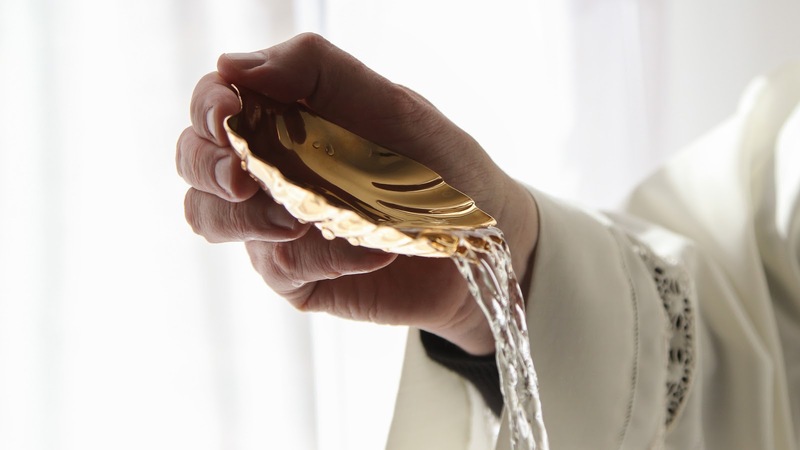 Baptism is not now generally explained to Catholics as release from diabolic dominion. That idea of baptism may have been taught by the Council of Florence, and it may still lurk in those just cited Catechism paragraphs. But it plays no role in the Church’s current pastoral life. That the fallen world and the unconverted within it are still subject to the devil is simply not part of the Church’s current official theology. It is a conception of the world that many contemporary Catholics would find alien and even shocking – and which has been carefully removed, very consistently and very thoroughly, from the contemporary liturgy. Diabolic dominion over a fallen world is not now presented in the Church’s liturgy, is not pastorally communicated in parish homiletics, and—as we are about to see—does not inform the current policy of the Church. The issue is not (yet) the reality of the devil or of original sin, none of which generally denied. It has instead to do with what the existence of the devil and original sin all imply for the Church’s relation to an unconverted world. The issue does not of course affect only baptism but generalises from it. For though baptism initiates a life of grace that detaches us from the devil, that grace can be lost through mortal sin. To prevent such loss and then as remedy for its occurrence, we need the other sacraments, and not the eucharist alone, but that condition, once grace has been lost, of the eucharist’s worthy reception, without which communion threatens to bring with it not liberation but a confirming of spiritual death and diabolic dominion—the sacrament of penance. And the needed combination of these sacraments is largely lacking not just among the unbaptised but in many communities of the baptised. Eucharist and penance are lacking in the Protestant world. 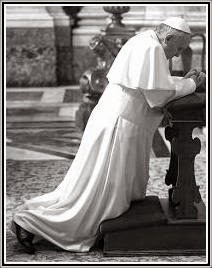 But in effect penance is also lacking among many modern Catholics, who regularly take communion without ever going to confession—something with alarming implications, according to traditional magisterial teaching, for the internal life of increasingly large parts of the Church. For communion without confession is liable to drive us further from the life of grace, and so even further under the dominion of the devil, and there are important effects of this detachment very apparent in the life of the contemporary Church. Read the rest (including the footnotes omitted here) at The Josias.